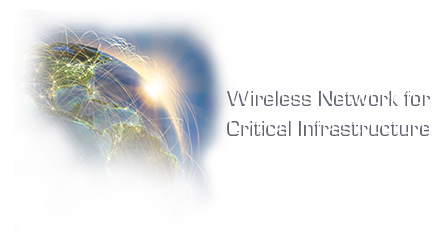 SUNNYVALE, Calif., April 10, 2019 — Ondas Holdings Inc., (OTCQB: ONDS) through its wholly owned subsidiary, Ondas Networks Inc., a developer of private licensed wireless data networks for mission-critical industrial markets, announced today that it will be holding a free webinar with Mission Critical Communications on the IEEE 802.16s standard for mission-critical data communications at 1:30pm EST on Thursday, April 11. Kathy Nelson, the Director of Technical Product Marketing and Industry Relations at Ondas Networks, will be presenting on various private licensed wireless network applications of IEEE 802.16s and Ondas’ FullMAX technology, which is built to the standard. Select speakers in the oil and gas, rail and transportation, and utility sectors will also offer case studies highlighting the benefits and applications within their respective industries of IEEE 802.16s standard technology. IEEE 802.16s is the only standard developed specifically for mission-critical communications in narrow channel sizes of less than 1.25 megahertz. The data standard is a fit for private, licensed communications systems that have mid-size spectrum access, such as the 700 MHz A band, 217 – 219 MHz, 1.4 GHz, 160 MHz, 900 MHz and 450 MHz. The webinar will discuss the history, technical specifications and future of IEEE 802.16s. Ondas Holdings Inc., through its wholly owned subsidiary, Ondas Networks Inc., is a developer of private licensed wireless data networks for mission-critical industrial markets. The Company designs and manufactures its multi-patented, Software Defined Radio (SDR) platform for Mission Critical IoT (MC-IoT) applications. Ondas Networks’ customer end markets include utilities, oil and gas, transportation, and government entities whose demands span a wide range of mission critical applications that require secure communications over large and diverse geographical areas, many of which are within challenging radio frequency environments. Customers use the Company’s SDR technology to deploy their own private licensed broadband wireless networks. The Company also offers mission-critical entities the option of a managed network service. Ondas Networks’ SDR technology supports IEEE 802.16s, the new worldwide standard for private licensed wide area industrial networks. For additional information, visit www.ondas.com, www.otcmarkets.com or follow Ondas Networks on Twitter and LinkedIn.